There is something truly spectacular about award winning singer and songwriter KateCeberano. Whether it is her soulful voice,her charismatic nature or exotic looks, she has become a legendary Australian icon over the past twenty-five years. A woman widely respected not only by the music industry, but also for her ability to juggle an abundance of other roles. From television appearances (Dancing with the Stars, It Takes Two, Who Do You Think You Are), to charity work (Ambassador for the National Breast Cancer Foundation), to motherhood (her daughter Gypsy is now 5). 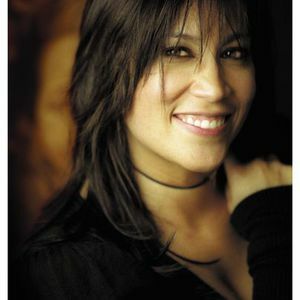 Doing what she loves most, making beautiful music, Kate Ceberano found she shared a musical connection with Mark Isham. After performing together recently in the US and forming a great musical bond, our Australian singer, songwriter, actor and multiple ARIA award winner and Grammy Award winner Mark Isham were joined on a quest based on their mutual love for ?bitter-sweet, brokenhearted love song? from the 30's, 40's and 50's. Both Mark and Kate set about listing their favourite songs from the era and found that they had many in common. One month later they recorded a beautiful album with Alan Pasqua, Tom Warrington, and Peter Erskine filling out the band on piano, bass and drums respectively. A whirlwind adventure in the studio resulted in 15 spectacular tracks, all recorded live, and full of love and longing. An album that could only be aptly titled, ?Bittersweet', joining the already long list of Kate Ceberano's achievements. With five Platinum albums, four Gold albums and over 1 million albums sold in Australia alone, Kate's bittersweet musical journey is set to continue. 2008 saw the release of Kate Ceberano's 17th album So Much Beauty, the summation of everything that has made this Australian singer exceptional in the past and makes her exceptional still. This is where she's come to, thanks in part to where she's been. In 2007, Kate saluted the 80's with her album Nine Lime Avenue, a tribute to a decade that she holds close to her heart. In fact, the album was named after her childhood street. Nine Lime Avenue was recorded in an unbelievable three weeks, whilst Kate was also tearing up the stage on season six of Channel 7's Dancing With The Stars, of which she was crowned champion. The show was the third highest rated TV program of 2007, beaten only by the AFL and NRL Grand Finals. reminisce in time as well.? Says Kate Ceberano. Inspire they did, as we saw the album shoot to #5 in the ARIA charts, and achieve Platinum sales. Kate followed this success by embarking on her national Nine Lime Avenue theatre tour along with Dancing With The Stars partner John-Paul Collins, which was a sell-out. These albums follow a string of award winning accomplishments. Ceberano has released 17 albums and has six Platinum and four Gold records under her belt. She has performed countless sell-out tours, starred in acclaimed feature films and hosted her own television show Kate & Friends. Kate first found fame with her funk band I'm Talking, a group that was managed by Ken West, who went on to found the Big Day Out with partner Vivien Lees. The group's album produced three top ten singles, went Platinum and won Best New Talent (1984) at the Countdown Awards. Kate won Best Female Vocalist (1985) at the Countdown Awards as well as Best Female Singer (1985) at the Australian Record Industry Association (ARIA) Awards. However after just one album, the group broke up and Kate went solo, and it was in the late 80s that she started to gain reputed success for her soul, jazz and pop repertoire. ?I get so frustrated with how I see people give up too soon in this industry,? says Ceberano who has been nominated for ARIA awards seven times, a figure matched only by Kylie Minogue. ?You can be dissuaded from wanting to continue in the music business, but you have got to weather out the hard knocks. My mother gave me the greatest compliment of my life when she said; the thing with Kate is that she recovers fast. And that is how you have to be. You just can't give up; everyone is going to have an opinion about you. Everyone is going to love and hate you. You just have to soldier on.? Kate's first solo album was the live set Kate Ceberano and Her Septet (1987). Her following album You've Always Got The Blues (1988) earned her an ARIA Award for Best Female Artist (1988). One year later, she won another ARIA for Best Female Artist (1989), as well as one for Highest Selling Single (1989) for Bedroom Eyes from her triple platinum album, Brave. At the end of 1990, she received three prestigious MO Awards for Jazz Performer, Female Rock Performer and Contemporary Concert Performer of the Year. IIn 1992, Kate performed the role of Mary in Jesus Christ Superstar. The show (which also featured John Farnham) toured nationally, and the album was the biggest hit of the year ? going an incredible 4 x Platinum. Kate followed this with her own late-night cabaret-style show on ABC TV called Kate Ceberano And Friends (1993-1994). In 1996 Kate released her next solo album Blue Box, which went Gold and saw her nominated for another Best Female Arist ARIA. In 1997 Kate wrote and released what has become an Australian classic ? Pash. It went Gold and established Kate as one of our leading female songwriters. Many fabulous and widely acclaimed albums were to follow, including 19 Days In New York, an album of jazz favourites recorded whilst living in New York, and 2005's LIVE with the West Australian Sympony Orchestra, which Kate considers to be one of the highlights of her career. Like many high-profile musicians, Kate Ceberano is known to use her celebrity to support and bring awareness to causes close to her heart; recently being appointed the Victorian Ambassador for the National Breast Cancer Foundation. Her role sees her help raise funds and awareness about an illness that affects many lives. ?I like to be as involved as I possibly can in causes I feel strongly about,? says Ceberano of her appointment. ?Yes I am a musician, but if I can do more to help others then I will.? As a female artist that has been in the Australian music industry for over twenty-five years, Kate Ceberano has defied all the odds and continues to find success in all that she does. ?I know I am privileged to be where I am at in my career. I don't take anything for granted,? she says. ?I am very thrilled to have this opportunity to follow my love of music, but I work hard to be where I am. ?